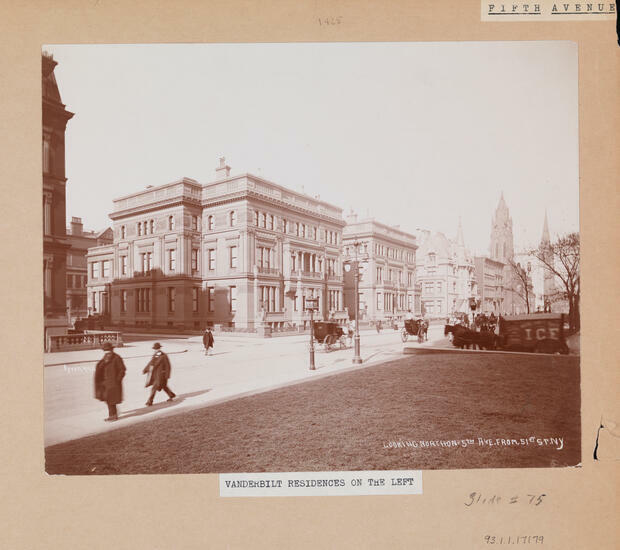 Museum of the City of New York - Looking North on 5th Ave. from 51st St. N.Y. [Fifth Avenue Vanderbilt Residences on the Left]. Looking North on 5th Ave. from 51st St. N.Y. [Fifth Avenue Vanderbilt Residences on the Left]. Looking north on 5th Ave. from 51st St. with the William H. Vanderbilt II residences prominent on the left.